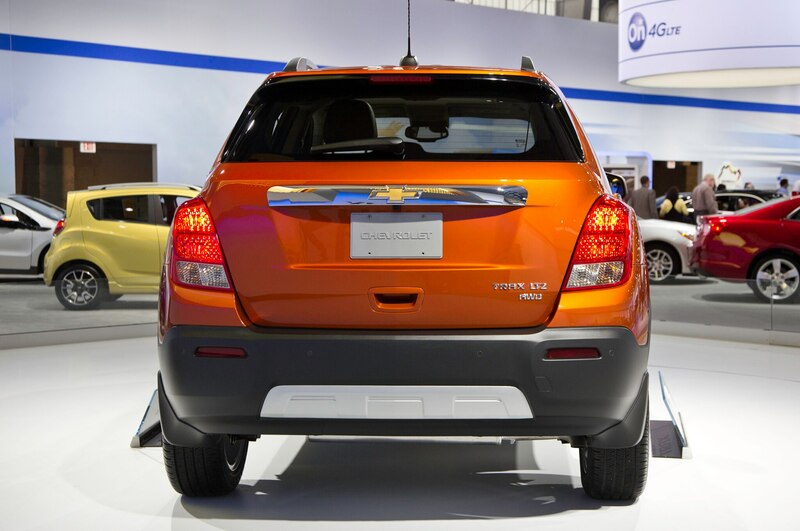 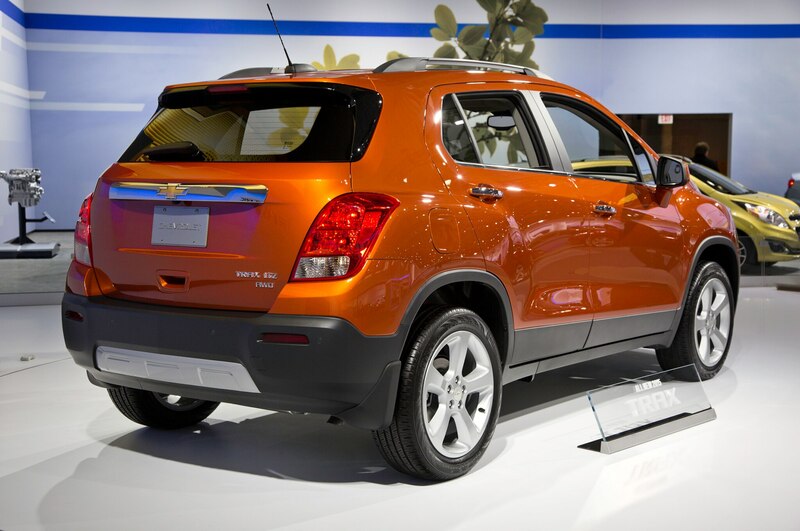 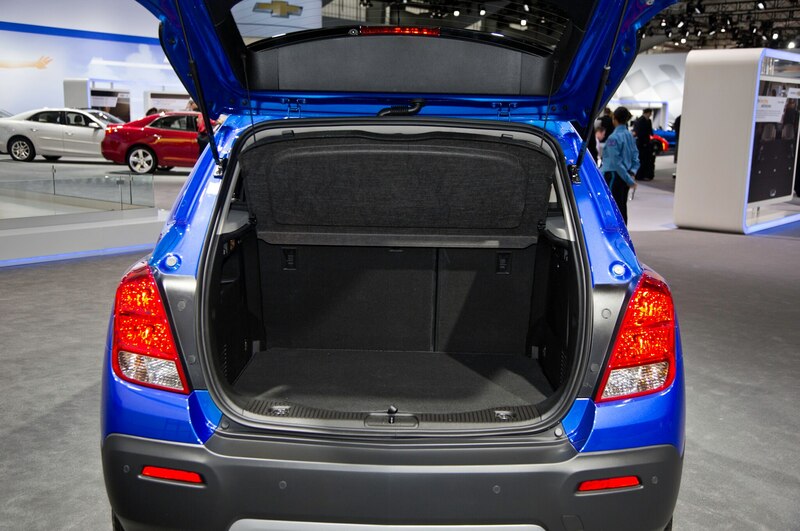 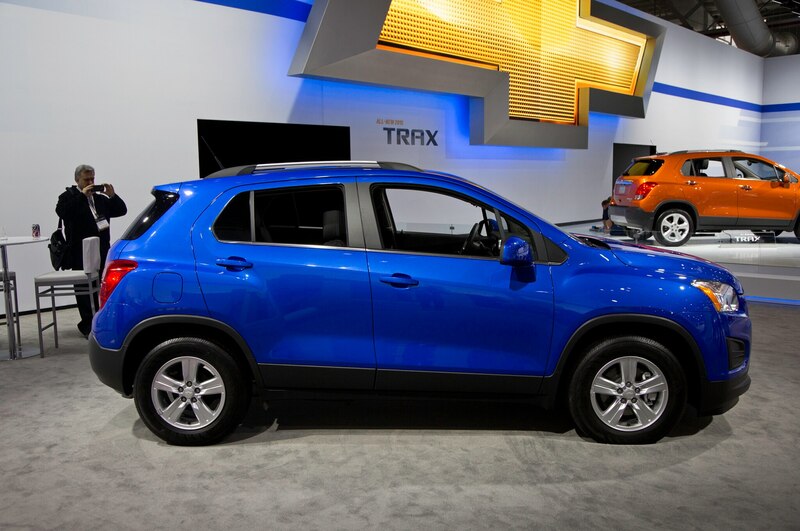 Chevrolet is cashing in on the hot compact crossover segment with a new model called the Trax that debuts at the 2014 New York auto show. 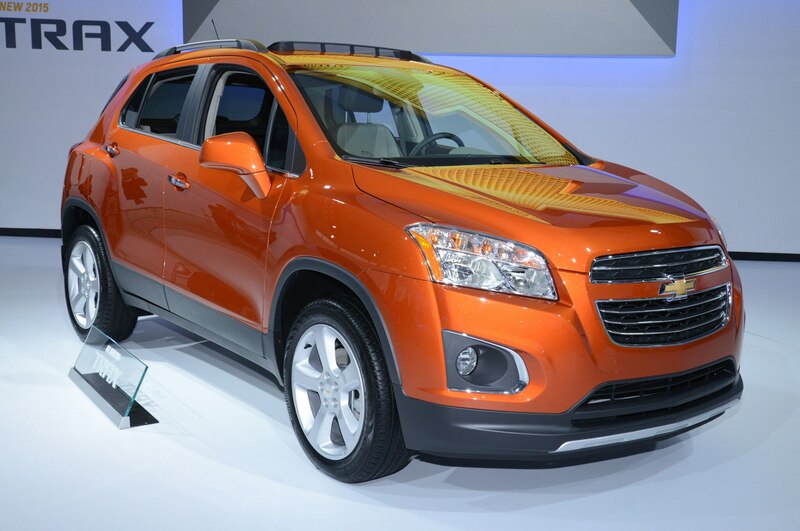 If the 2015 Chevrolet Trax looks a bit familiar, that’s because it’s nearly identical to the Buick Encore crossover that’s already offered in the U.S.
Like the Buick, the Chevrolet Trax—which has been on sale in Canada and other markets since 2012—is based on the same platform as the Chevrolet Sonic subcompact. 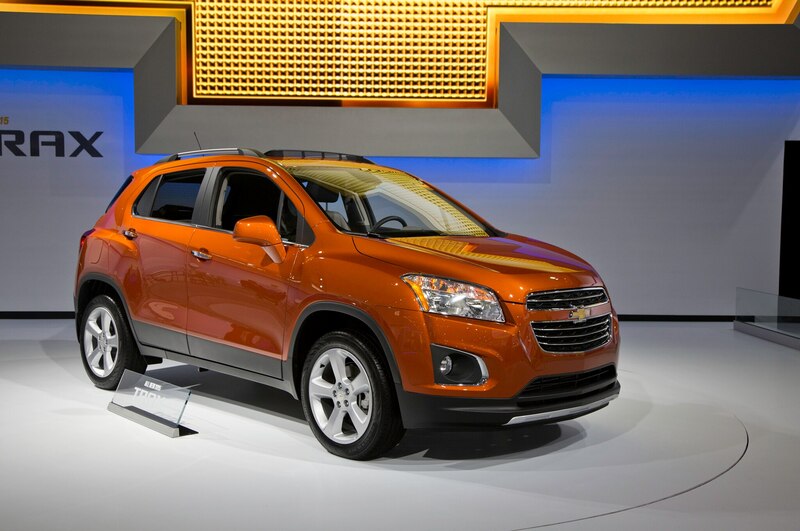 This means that it is smaller than typical compact crossovers like the Honda CR-V and Chevrolet’s own Equinox. 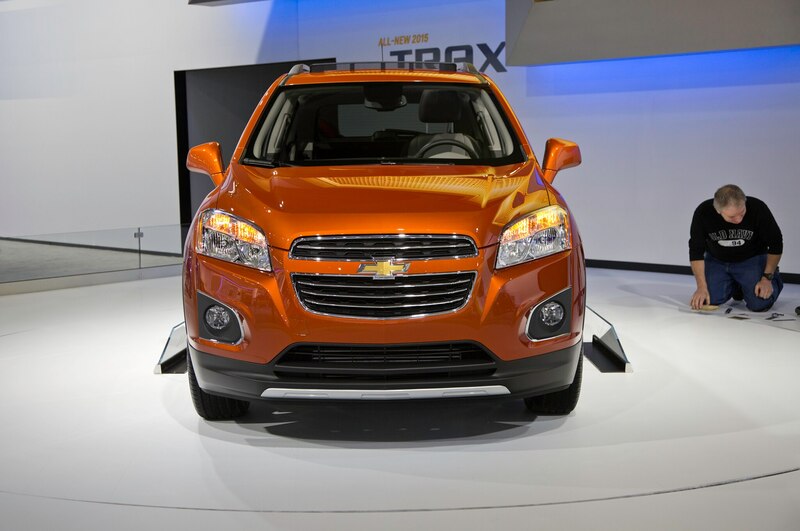 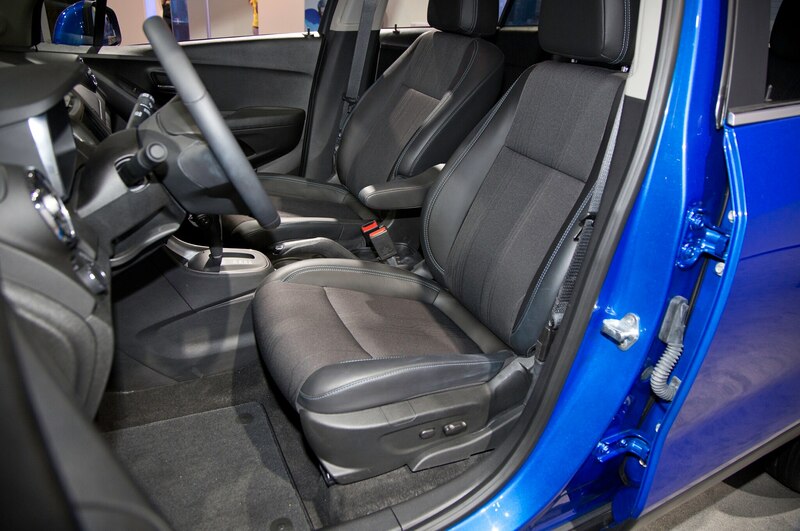 As such, the 2015 Trax is powered by a small engine—the same 1.4-liter turbocharged four-cylinder found in the Encore, the Sonic, and the Chevrolet Cruze. 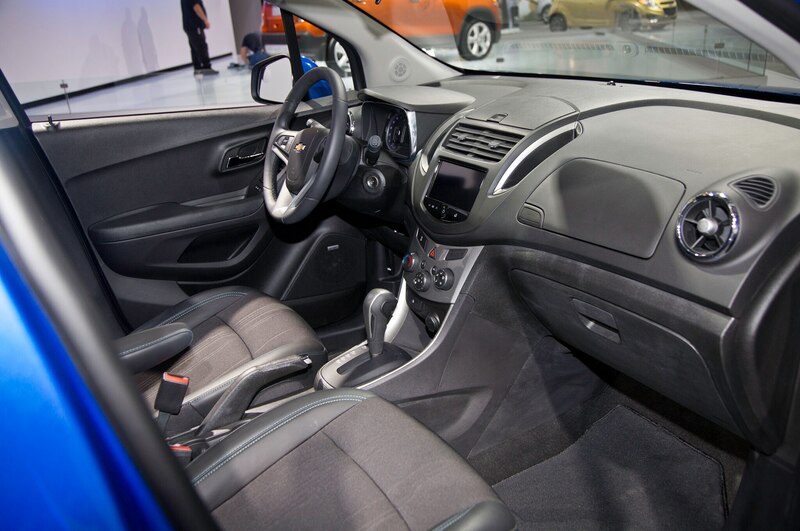 In this application, it produces 138 hp and 148-lb ft of torque and is matched with a six-speed automatic transmission. 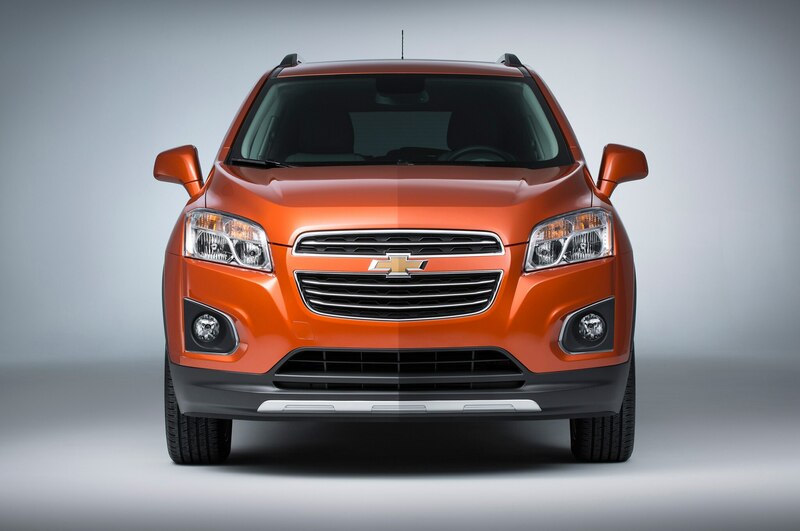 Front-wheel drive is standard, with all-wheel drive as an option. 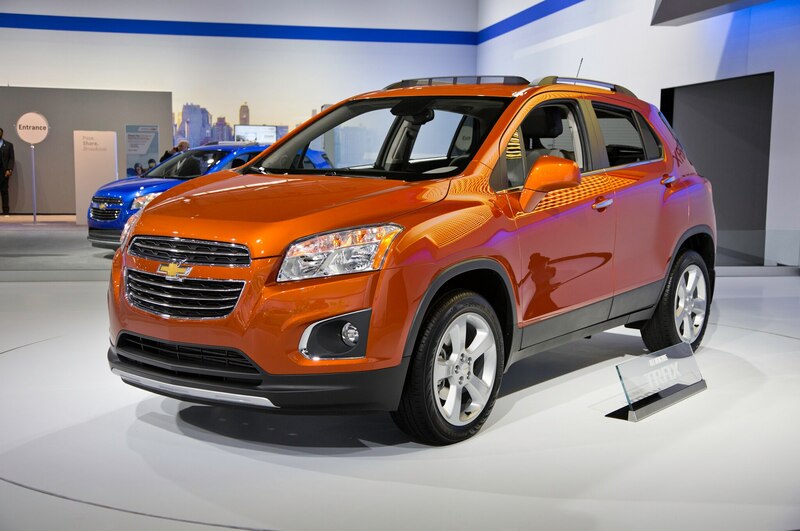 The Chevrolet Trax displays the same tall, hatchback-like profile as its Buick sibling, but with a much more prominent Chevrolet grille up front featuring a large bowtie emblem. 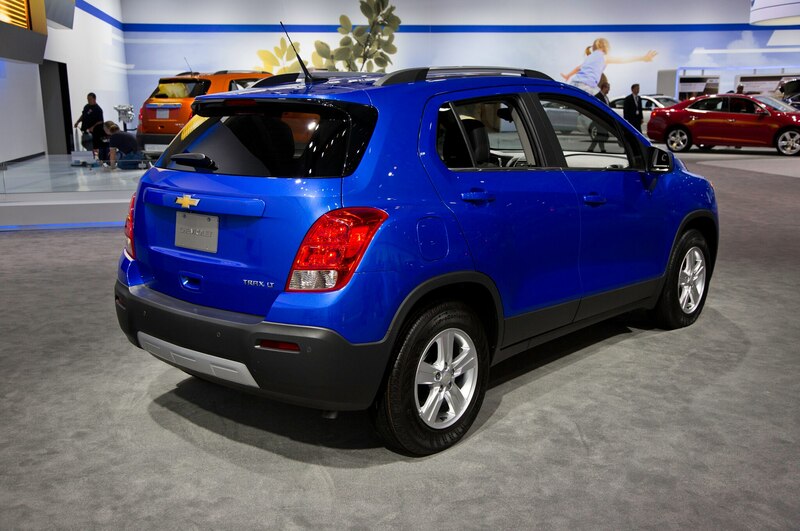 There’s less chrome trim on the Chevrolet compared with the Encore, as the Trax will inhabit a lower price bracket than the premium-oriented Buick. 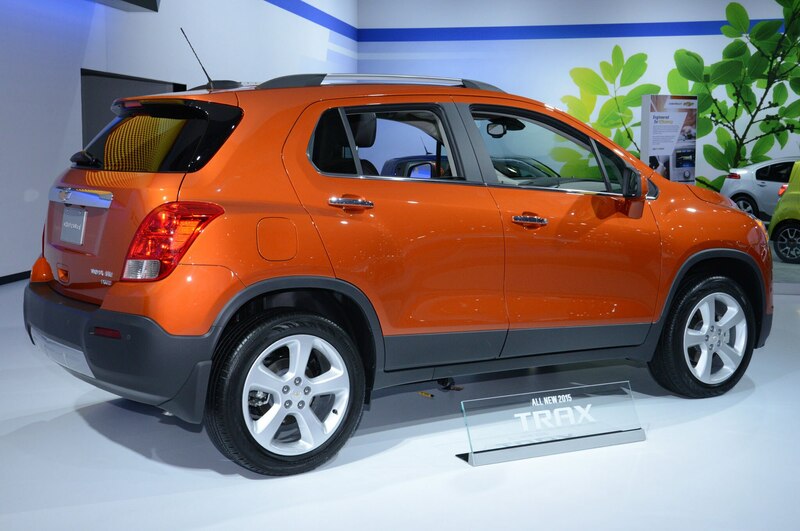 This plays out inside the Trax as well, as the Trax does away with the Buick’s upscale materials like leather and wood trim in favor of more typical plastics and faux aluminum trim in the vein of the Chevrolet Sonic and Cruze models. 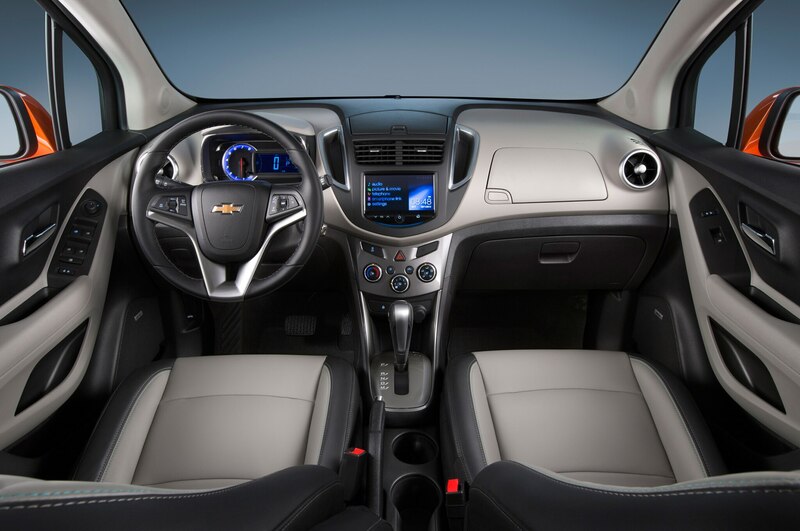 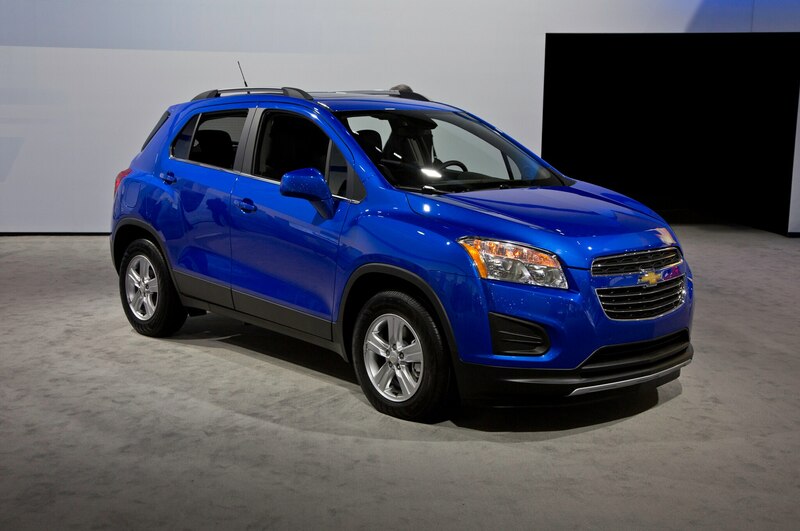 Each of the three Chevrolet Trax trim levels—LS, LT, and LTZ—come standard with equipment like a backup camera, remote keyless entry, a USB port, and Chevrolet’s MyLink infotainment system with a seven-inch LCD display. 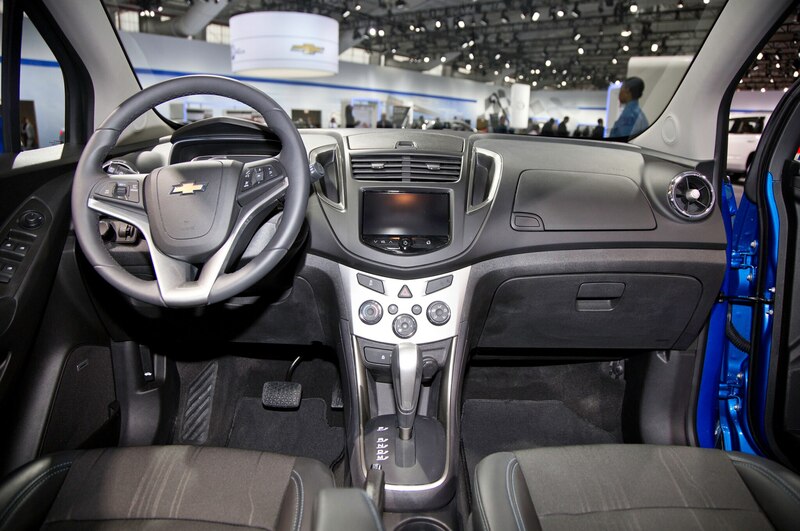 This new generation of MyLink adds available 4G LTE connectivity and Wi-Fi hotspot capability, features we would expect to see proliferate into more GM models going forward. 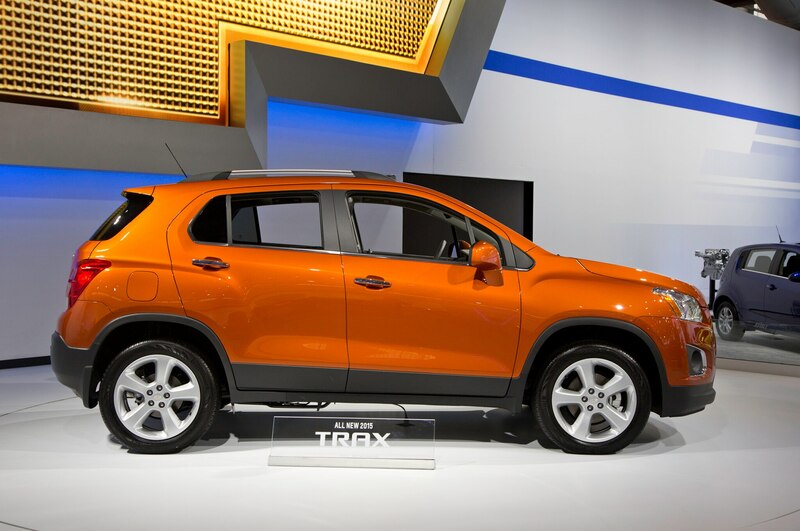 In the U.S., the 2015 Chevrolet Trax will compete with other smaller-than-compact crossovers like the Nissan Juke, the upcoming Honda Fit-based crossover, and the recently revealed 2015 Jeep Renegade. 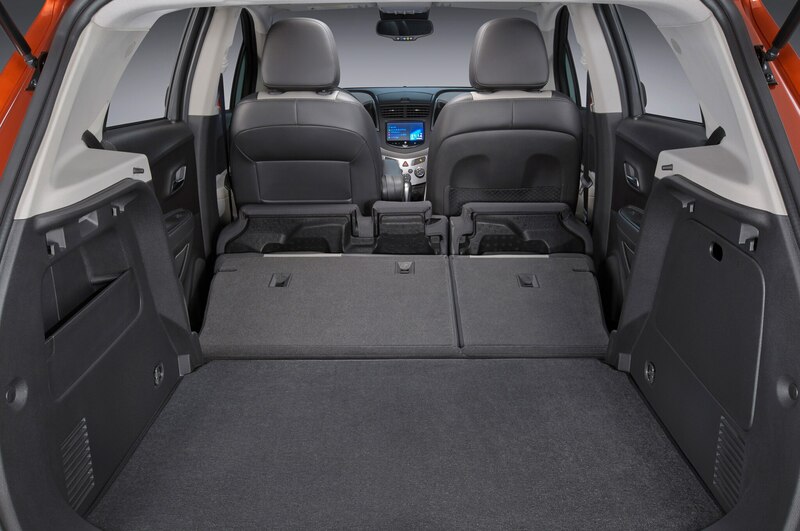 Each of these entries in this growing segment feature similar specs, with small-displacement turbocharged engines, available all-wheel drive, and hatchback-like profiles that make for reasonably spacious cargo areas. 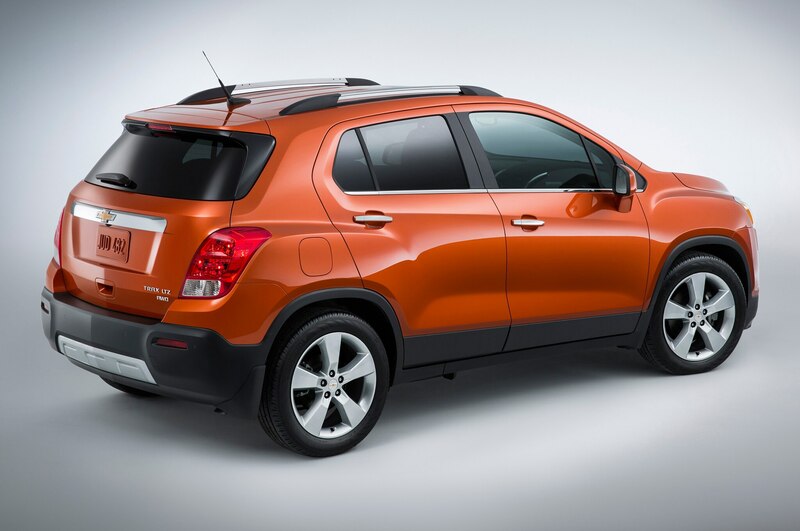 With the Buick Encore starting at $25,085, we would expect the 2015 Chevrolet Trax to start closer to $20,000, although pricing won’t be announced until closer to the start of production. 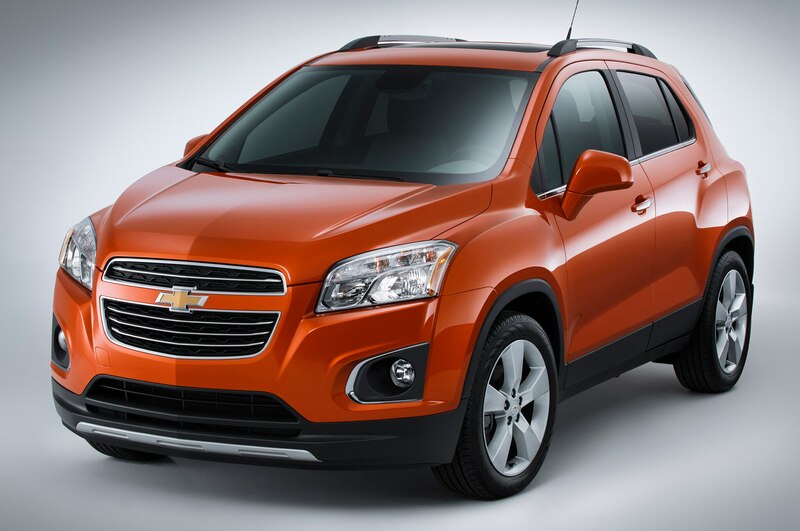 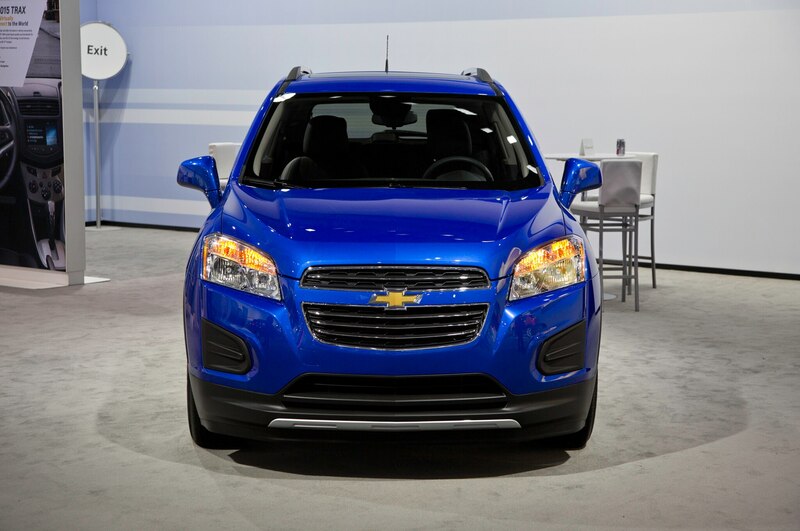 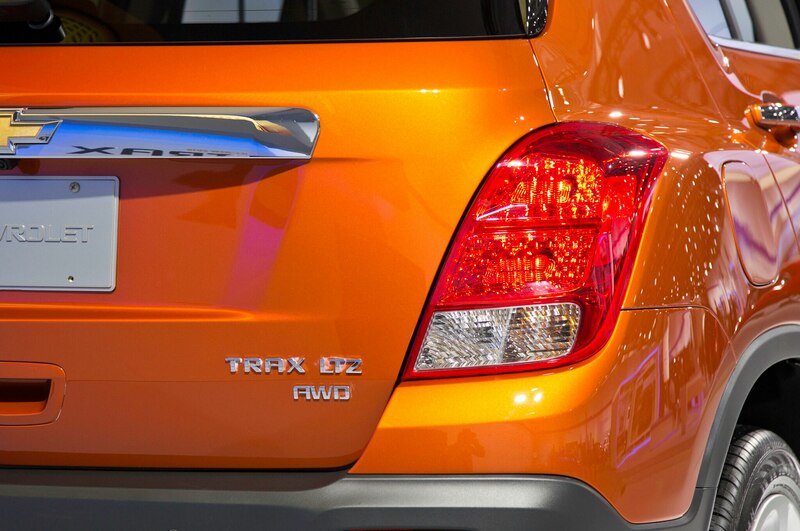 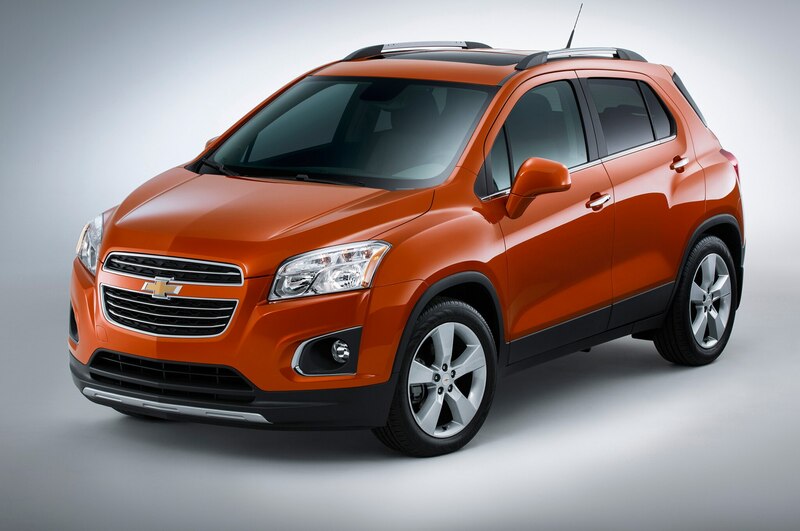 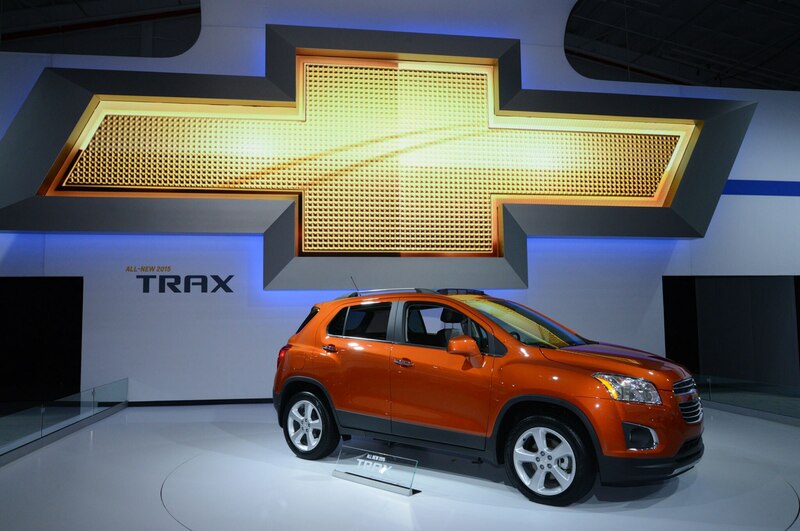 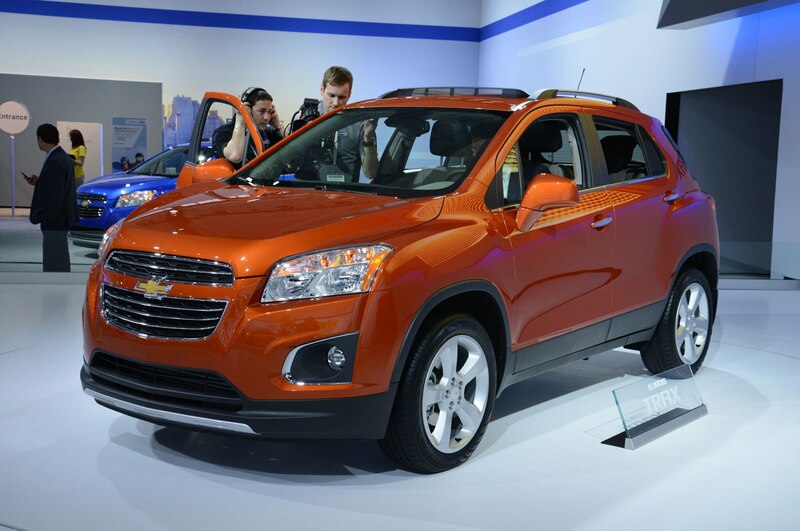 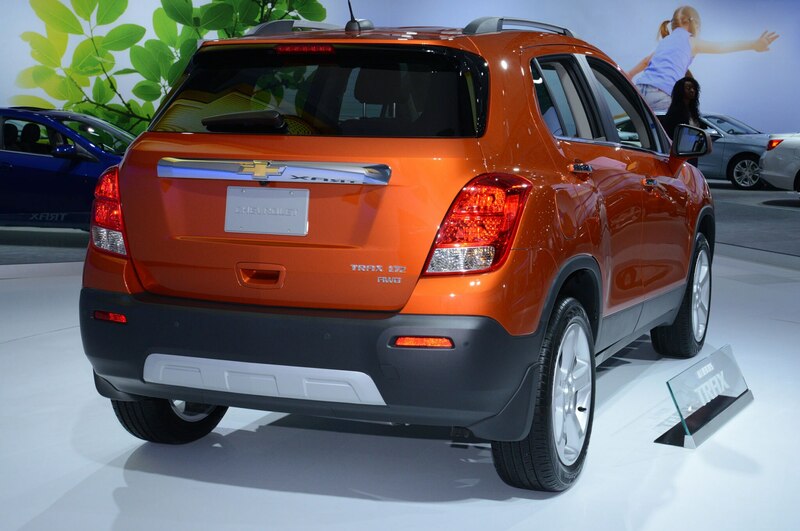 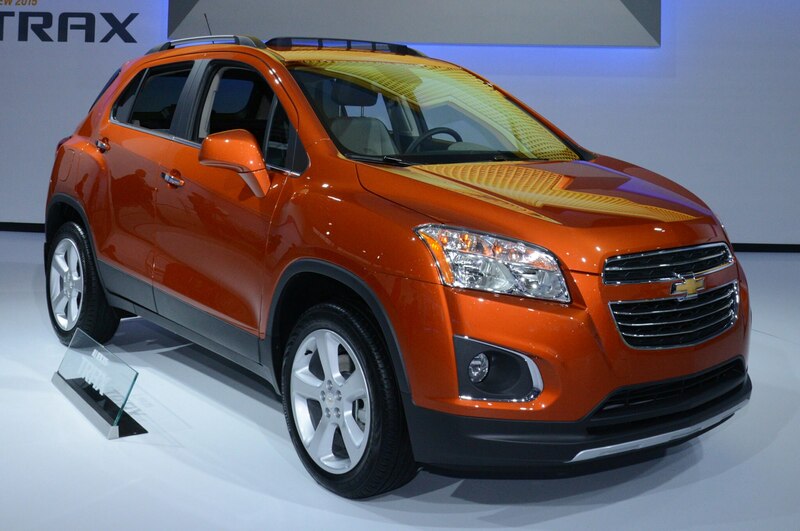 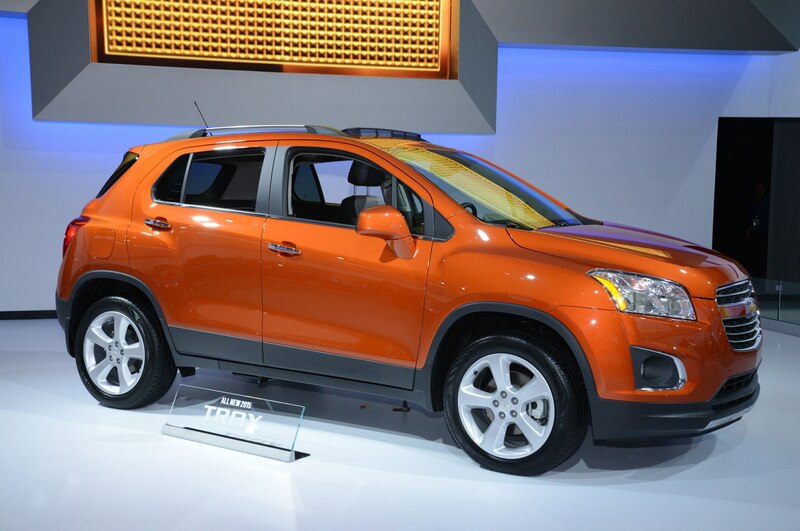 Stay tuned for live photos of the 2015 Chevrolet Trax from its official U.S. debut at the 2014 New York auto show.